The very best actors and actresses will be honored at the 2016 SAG Awards on Saturday. 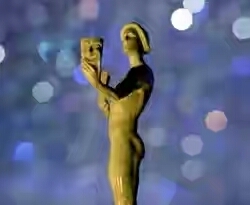 As Gossip Cop reported, the nominees for the 22nd Annual Screen Actors Guild Awards were announced in December. Like the Golden Globes, stars from both television and movies are celebrated. And being a member of the SAG-AFTRA guild in good standing is required to score a nomination.